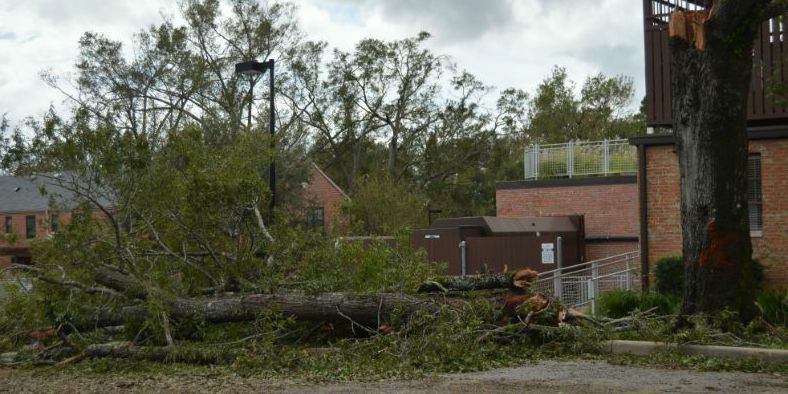 WILMINGTON, NC (WECT) - A lawsuit has been filed against a tree-removal company doing business in the area after Hurricane Florence. Friday, North Carolina Attorney General Josh Stein announced his office is taking action against Alva Wilson Lewis, doing business Big Al & Sons Tree Service, A1 Tree & Storm Relief, and A1 Tree and Storm Damage Relief, which are all based out of Lexington. Stein says the company is listed by the Better Business Bureau of Central North Carolina as one of the “Dirty Dozen” businesses because of the number of complaints against the company. Stein says his office filed a lawsuit in Raleigh to stop the company’s business practices. A judge also issued a temporary restraining order against the company. Stein says his office can’t stop the company from doing work until a judge makes an order. Stein encourages consumers to contact his office if you believe you’re a victim of price gouging. There are several options to do so. You can file an online complaint at NCDOJ.gov/gouging or you can call 1-877-5-NO-SCAM. Consumers can also call the Attorney General’s office to get advice on businesses following the storm. "If you're out there and you're considering whether doing a contract with somebody, just call our office before hand and find out if there are complaints against that company," Stein said. "Find out if the way they're trying to pressure you to do a contract is a red flag. We have people here who have great experience protecting consumers, and we want to help." The tree-removal company Steins office filed a lawsuit against has no relation to A-1 Tree Service, LLC out of Hampstead.